I don't know about everyone else, but I'm sure looking forward to the warmer weather. Springtime makes me think about a lot of things, particularly nature. The trees will start sprouting new leaves, the grass will turn green, flowers will bloom, and we'll even start seeing more animals coming out of winter hiding. We tend to focus on a lot of nature and animal studies during the milder weather, because it gives us more time to explore outdoors. Recently, We've been reading some of the new picture book releases from Arbordale Publishing that have been getting us all excited about our current and upcoming zoology lessons. If you're looking to start an animal unit study with the kids, or have a budding zoologist at home, then here are six books that you'll want to add to your home library. Having previously lived on an island, we've seen our fair share of lizards, but the St. Croix lizard is one that's new to us. In danger of extinction, due to an invasive species, these little lizards were purposely moved to neighboring islands with the hopes that they can thrive, procreate, and maybe even one day be moved back to their native home. Scientists travel to the islands to monitor these lizards to see how they're flourishing. 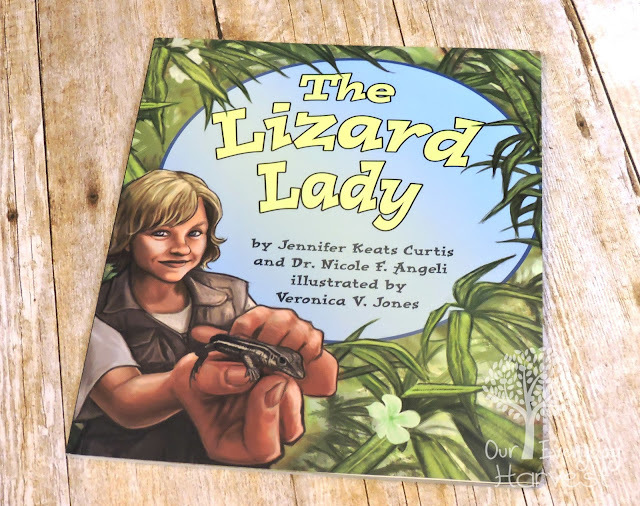 One such scientist is Dr. Nicole F. Angeli, AKA The Lizard Lady. This book offers a brief background on the story behind why the St. Croix lizards had to be moved, as well as why scientists like Dr. Angeli are doing their best to help the species thrive and to someday revisit their home. There are plenty of details about this endangered reptile, including their eating habits and how they protect themselves from other predators. We also learned more about Dr. Angeli's commitment to saving them. We loved the illustrations by Veronica V. Jones, which are full of pretty blues and greens. These colors really help set the mood for the entire narrative, which takes place in an island jungle. The best part about this book is the take away that we received by learning all about this amazing species, and the efforts to keep them flourishing on this planet. Since we are on the topic of lizards. I have another fun one to share, this time we're talking about Komodo dragons. 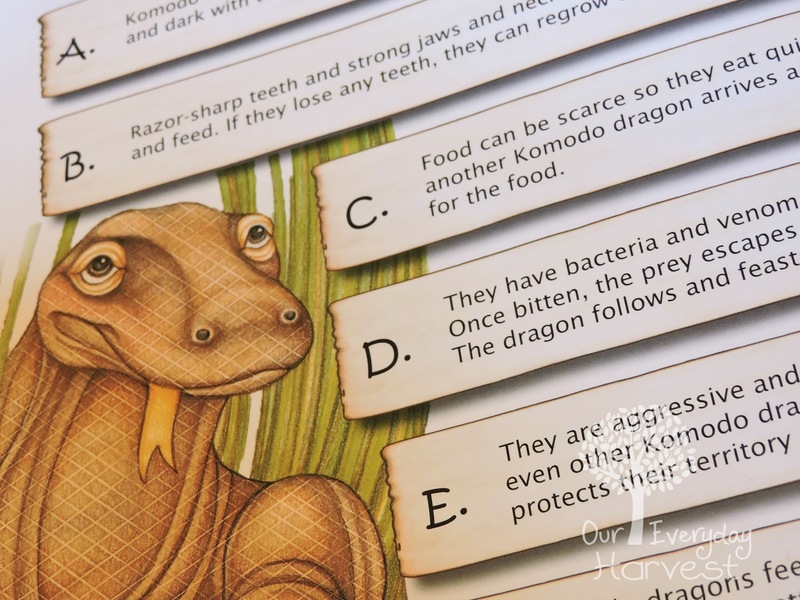 This book is a fictional story, with fact-based information that can be used for a unit study on reptiles or Komodo dragons. Leslie is a little girl that dreams of being a "dragon hunter" when she grows up. 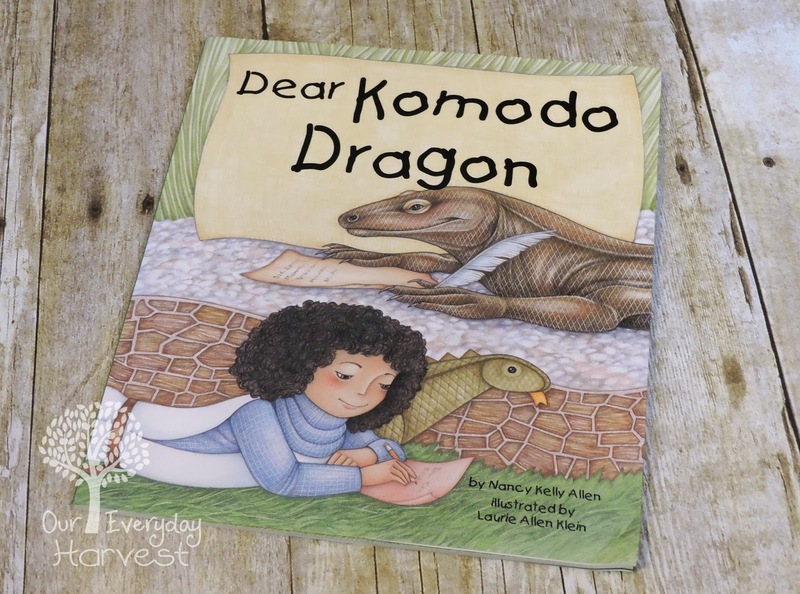 She wants to prepare herself for this endeavor, so she seeks firsthand advice from the most reliable source, a Komodo dragon, who also happens to be her pen pal. The more Leslie learns about her new friend, the more she begins to rethink her future "career" choice. We love fiction books that offer an educational lesson to be learned and this one shares plenty of information about Komodo dragons. We learned about what's it's like for them as babies, as well as their...um...unappetizing dietary choices. Let's face it, Komodo Dragons are not the most glamorous of creatures, but they are quite interesting, nonetheless. This book offers important facts and information about them, while also creating a fun learning experience for kids as they read the humorous dialog in the letters that are written back and forth between Komo and Leslie. Like most yearlings, Yodel is an adorable little guy who loves to snuggle with his mother and play with his siblings. 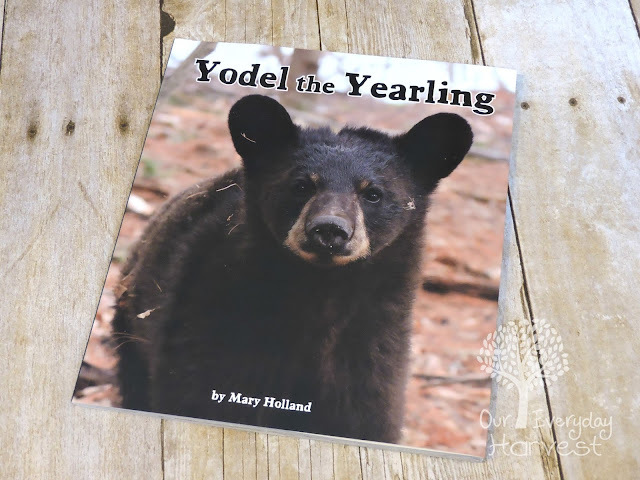 In this book, we get a firsthand glance at what it was like to chronicle the life of a family of baby black bears. There are plenty of interesting facts and information to learn about, including the way they live, eat, and even neat ways in which a mother bear ensures the safety of her babies–for instance, sending her yearlings up into a "babysitter tree" while she forages for food. Black bears are always fascinating for us to learn about, because they are native to our local area. While these creatures are furry and adorable, let's face it, we personally don't want to come face to face with one while walking in the wild. I like that the book is full of additional tidbits and hints on what to look for in the woods, in order to tell if a bear is, or has been nearby. There's plenty of gorgeous photography throughout the book to really capture a day in the life of a black bear. As we read this, it's almost as if we were sitting right there in the woods watching them in their own habitat. 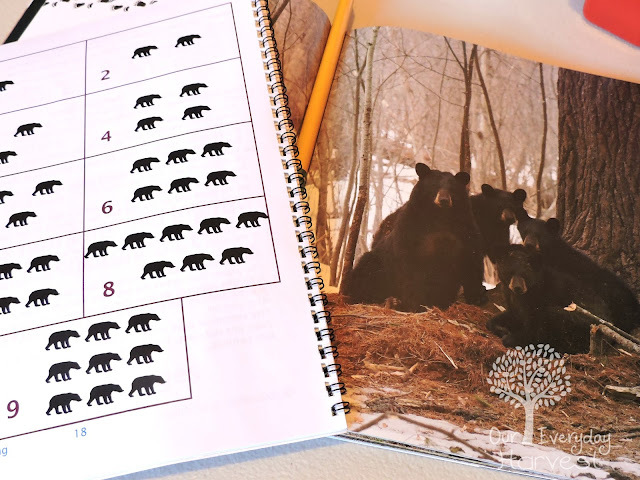 There are plenty of opportunities to build a black bear unit study out of this book, and I appreciate that it also includes a detailed explanation of the difference between hibernation and torpor. Here's another book with plenty of beautiful photographed images of animals living in their natural habitat. 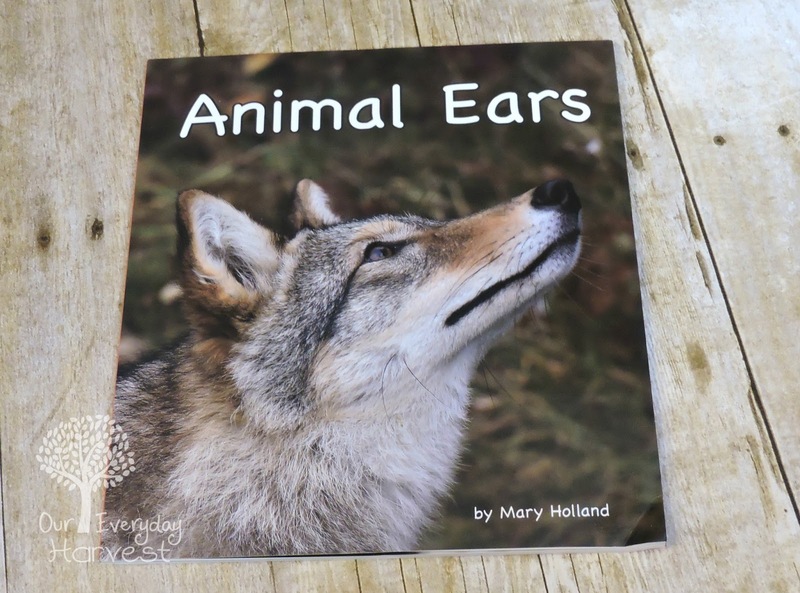 Animal Ears is part of Mary Holland's Animal Anatomy and Adaptation series. We've recently been working on a five senses unit study in our home, so it was fun to include this book during our discussions about hearing. What's really interesting for the little ones is that they'll discover how not all creatures have two ears, or that they may not always be located on the head. For instance, the praying mantis has one ear located on the underside of its body. Pretty interesting, huh? We thought so! 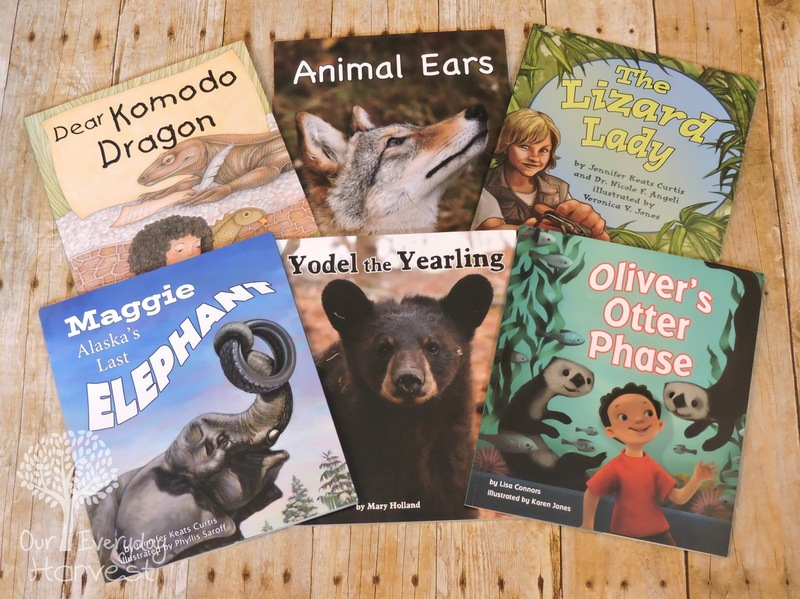 The author was sure to include plenty of different animals to show how each one is unique in the way that they hear or pick up sound. As I had briefly mentioned above, we love the breathtaking animal photos. The text is also rather large, which is nice for younger readers. 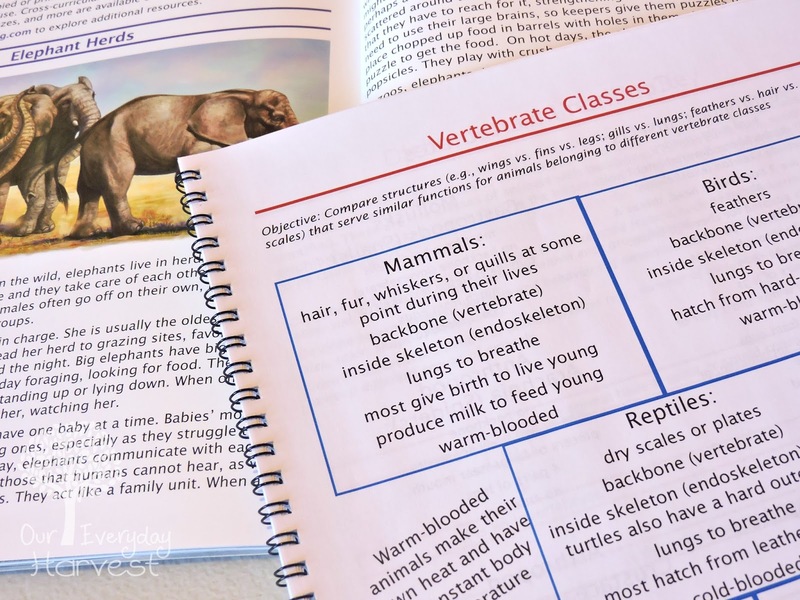 After reading this, we can't wait to pick up more of the author's additional books in the Animal Anatomy and Adaptation series, perhaps Animal Eyes can also be added to our five senses unit study. We love visiting our local zoo and the elephants are one of the highlights of our trip each and every time. Needless to say, it was exciting to read the true story of Maggie, an elephant who once lived at the Alaska Zoo. The title initially intrigued me, because I knew elephants aren't native to Alaska. 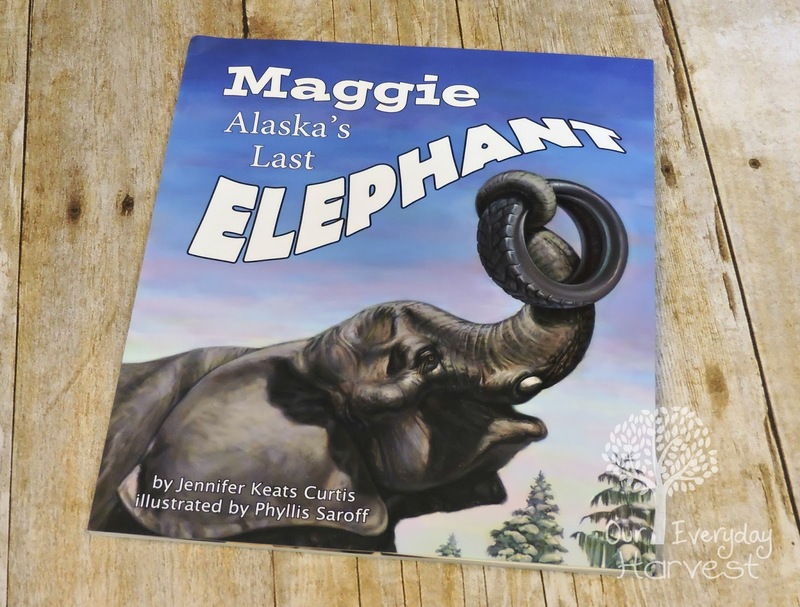 You see, Maggie was the last elephant to live at the Alaska Zoo. Elephants are herd animals, so when Maggie's lifelong pal, Annabelle, passes away, She becomes quite depressed. The zookeepers try everything to help her, but nothing seems to work. They decide that perhaps a sanctuary will be the best thing for her. With some adapting, she finds a new home with the other elephants at the Performing Animal Welfare Society (PAWS). This is such a emotional story with a few ups and downs, but ultimately a very happy ending for Maggie. We loved learning some additional facts about elephants that we didn't already know. It was also comforting to read how the zookeepers at the Alaska Zoo came together to find a solution that benefited Maggie, even if it meant losing her to another location. We also enjoyed the artwork by Phyllis Saroff that took us along on the story of Maggie's transition from the zoo to the sanctuary. If you have a child that loves elephants than this is one story that you''ll definitely want to pick up for them. 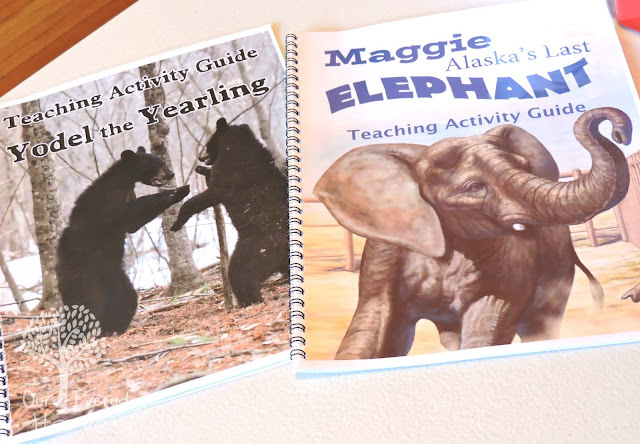 It would also make a great resource for a pachyderm or elephant unit study. Oliver's Otter Phase is probably the most humorous of the bunch. 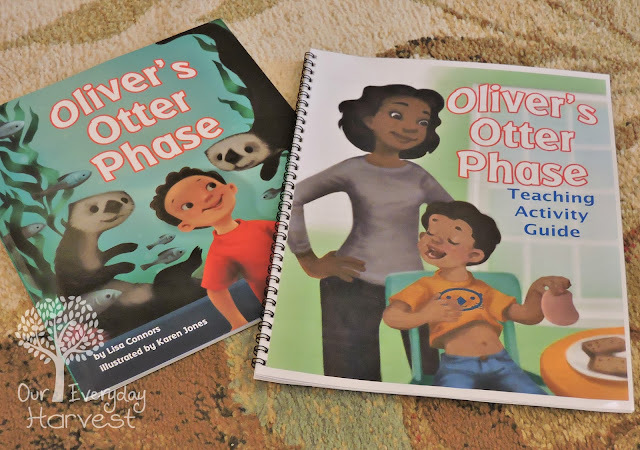 Like Dear Komodo Dragon, this one is also a fictional story, but at the same time it's packed with plenty of educational information that would be perfect for a marine mammal or otter unit study. My son has a thing for otters and loved seeing them at our previous aquarium trip last summer, so he especially enjoyed this book. 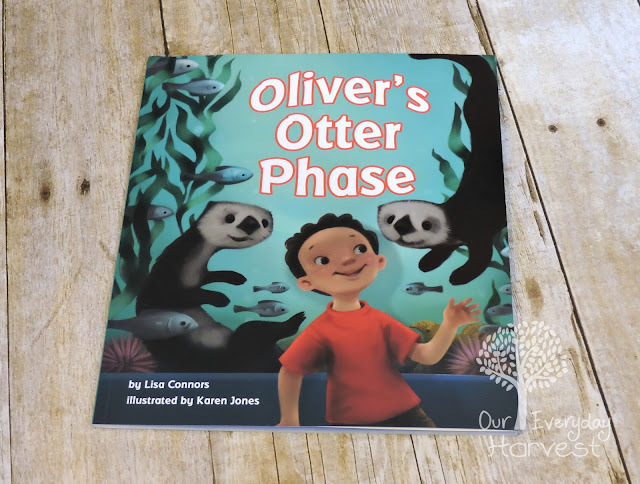 This story follows a boy named Oliver, who after his last visit to the aquarium, becomes quite intrigued with Otters, so much that he wants to actually become one. He starts acting like an otter, doing some interesting things that may seem normal for an otter, but a little quirky for a human– like slapping bologna onto his chest (you're just going to have to read the book to learn about this) What he soon learns, is that Otters have their own unique capabilities just as humans do, and sometimes there is a reason why that is. This is such a cute story, especially for young children. There is a lot of funny antics included, as well as adorable illustrations that we both enjoyed. 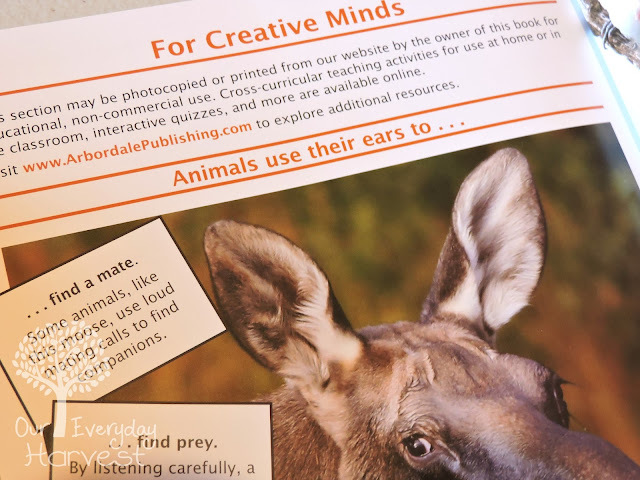 As an extra bonus, each of these books include a special "For Creative Minds" section in the back, with several pages of fun facts and information to accompany the story (also available as a free download, online). A quick visit to each book's homepage will also give you a collection of additional resources to help your child along with their zoology studies, including a free cross-curricular Teaching Activity Guide with pages upon pages of lesson ideas for science, math, and even social studies. Matching interactive ebooks are also available with text in both English and Spanish. 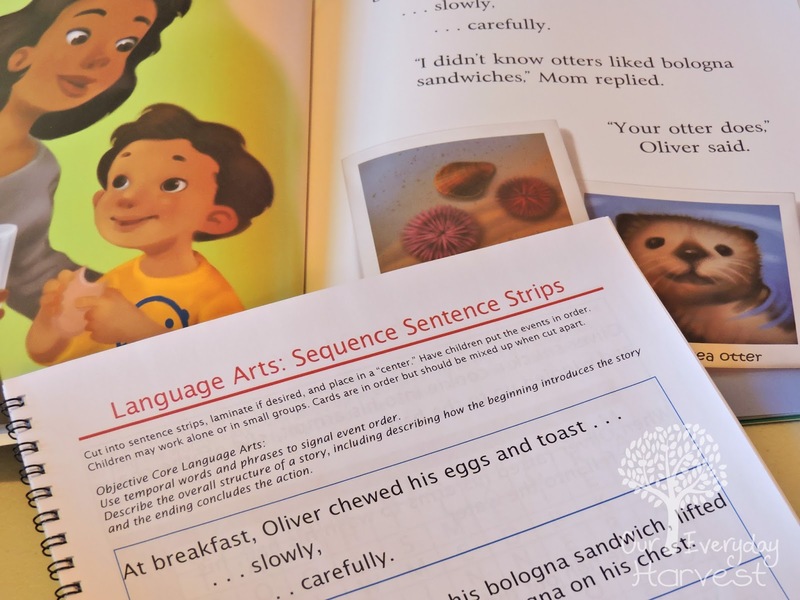 These happen to include audio speed control, which is fantastic for beginning readers. 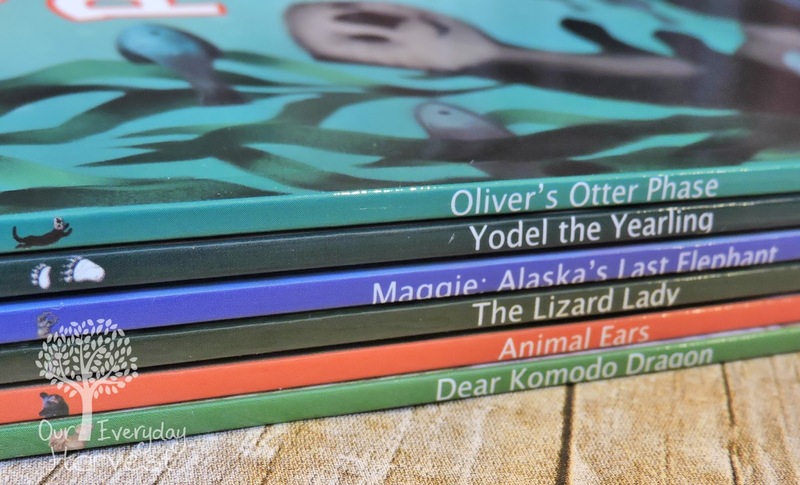 Each one of these picture books includes a little something different to bring to our homeschool studies. The one thing that the six of them do have in common is that they're all pretty great. I also want to add, that the accompanying teaching activity guides are amazing! I've downloaded the ones that correspond to the books that we currently own, even spiral binding them for easy lesson planning. 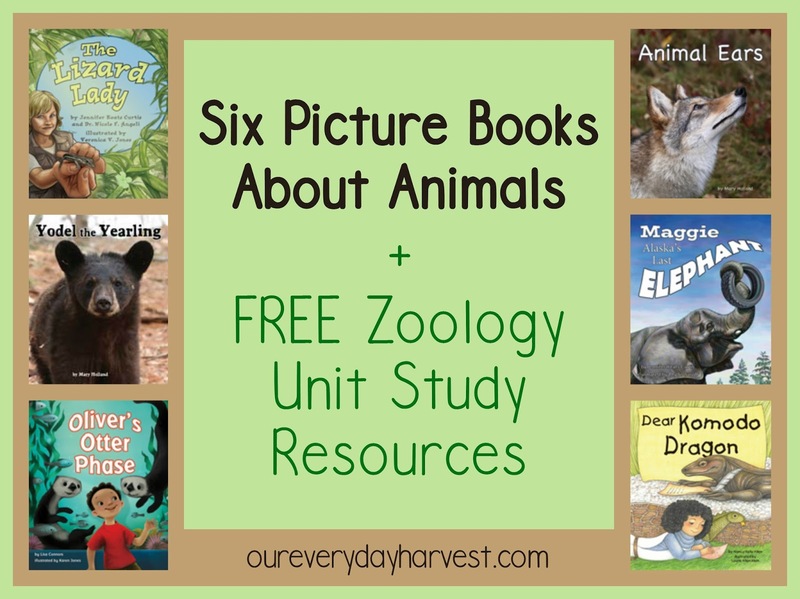 It's also worth noting that each of these books, along with the extra free learning resources are actually vetted for complete accuracy by professionals in the respective field, so I can be comfortable knowing that my child is receiving the correct information for his animal studies. For more information on these six picture books or others like it, be sure to visit Arbordale Publishing online or connect with them on social media.